There is a lot to celebrate this month. It's the 100th year anniversary at the YYC Grand Theatre Junction, and that makes it extra special to host birthday parties in this sentimental venue. 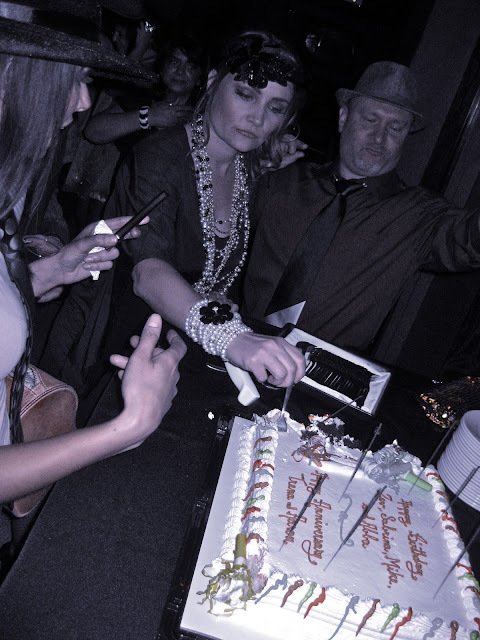 This month is our beloved industry specialists: Sabrina May, Mike Addams and Zev Abosh's birthdays, so they decided to host all their birthday parties past weekend simultaneously and created an event called CLASSIC at the Grand Theatre (Sociale Bar). 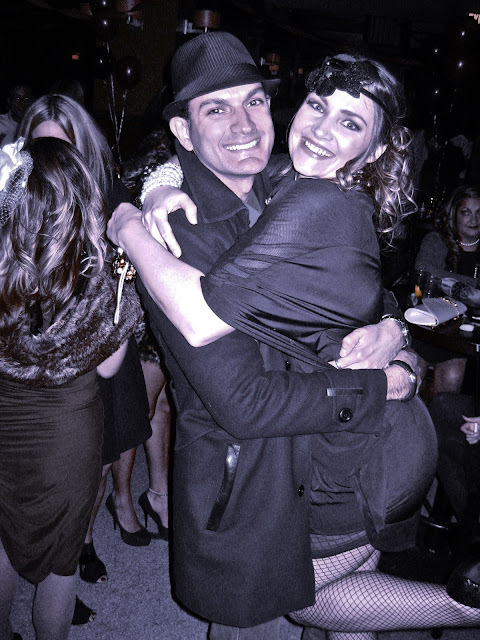 In addition to birthdays, CLASSIC was also a party for the married couple Trena and Aaron's 5th year anniversary. 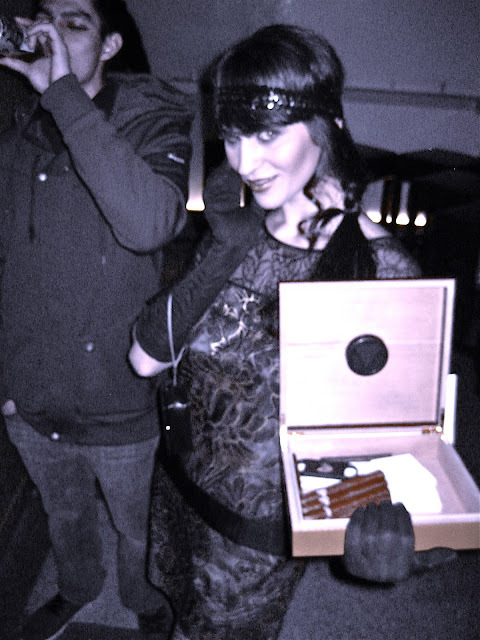 CLASSIC was a 1920's, 1930's theme party, in conjunction to the Grand Theatre past time style. I found it totally in sync with the recent hype of Emmy Award winning, and Academy Awards nominated silent film "The Artist". 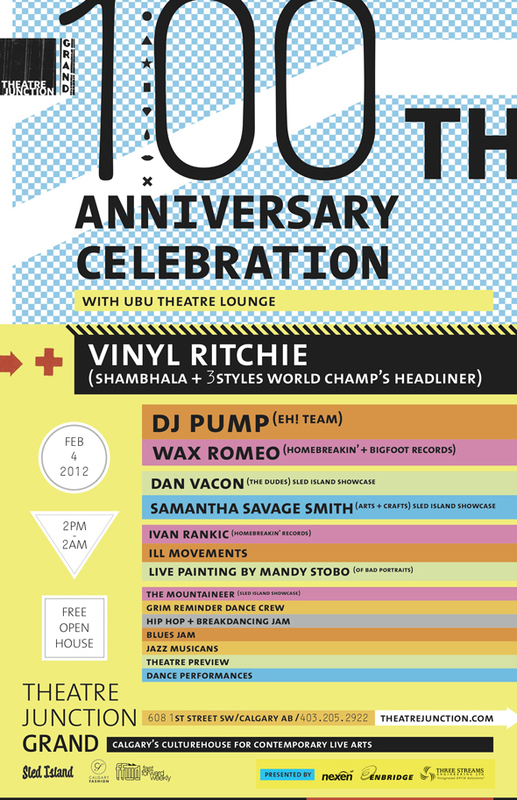 BE SURE TO CHECK NOT TO MISS GRAND THEATRE 100TH ANNIVERSARY CELEBRATION EVENT ON FEBRUARY 4TH!!!! 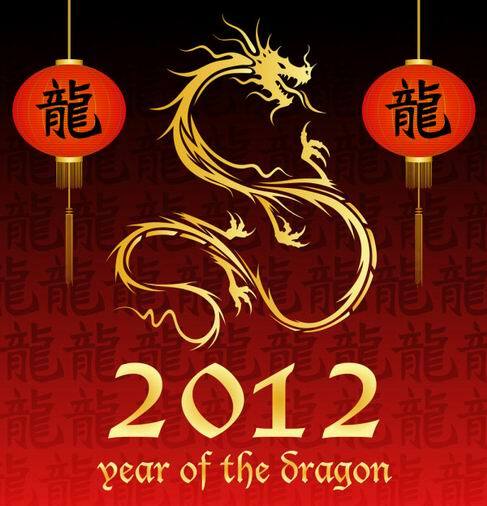 First things first, THE YEAR OF THE DRAGON has begun. 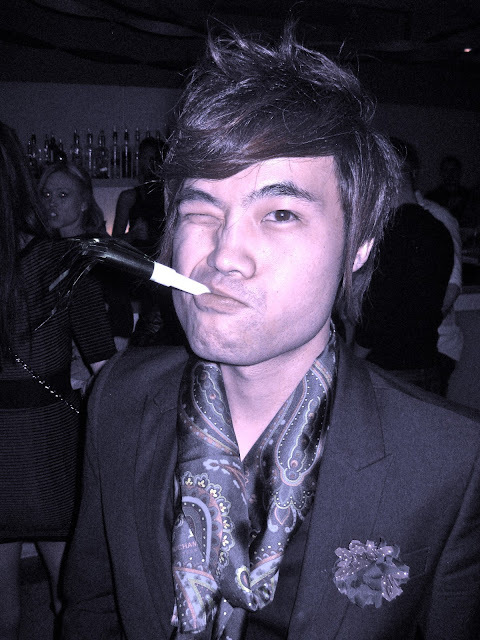 Binzento Vincente wishes everyone a HAPPY CHINESE NEW YEAR! I REALLY love this look (honest opinion), and think she deserves to win. Jennie was sharp with her choice of colour combination, style, and the use of the green garden hose. It looked fun, fresh and totally in tune with the latest vibrant colour trend this season. The model magically worked well with this style. The hair and make-up was also beautifully done. 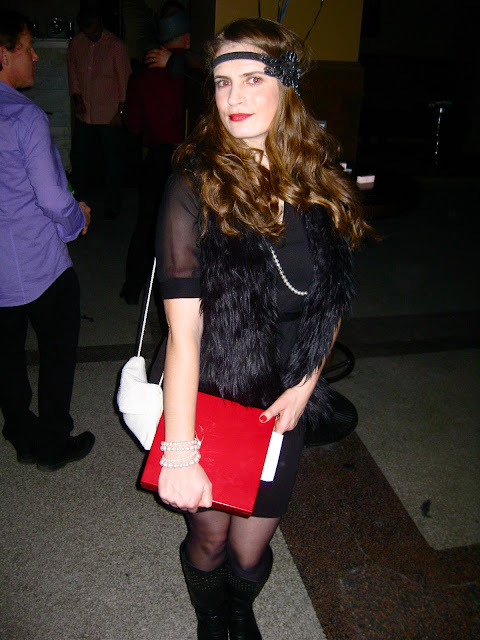 Therefore, I decided to ask my readers here to vote for Jennie Lyle for styling the Best LOOK before January 25th. 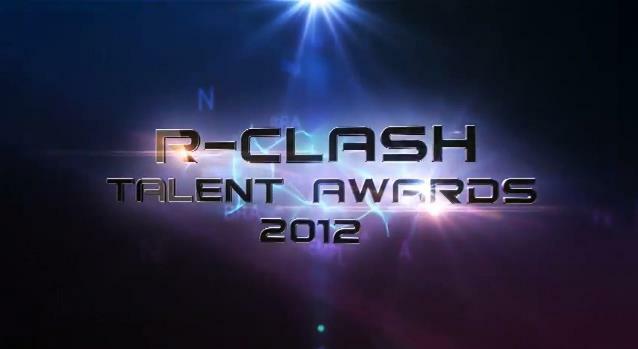 Binzento Vincente attended one of the most dynamic and multi-cultural music events this weekend called R-Clash Talent Awards. Created by YYC music production company: CZ Entertainment and partnered with Hong Kong Student Association (HKSA), R-Clash (also known as Rhythmic Clash) Awards is a platform for local musicians to present their passion for music and talent to their fans and audience. 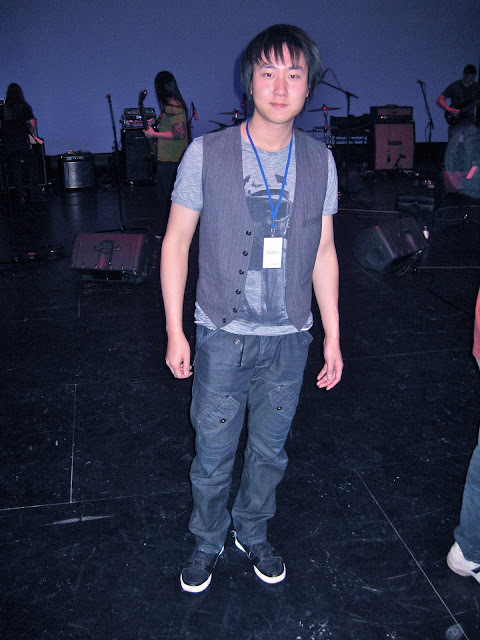 A total of 15 music "units" were selected in the final round, which consisted both solo artists and music bands. The MCs of the night were OMNI TV's Brian Wong and Jenny Yu. There was a panel of four music professionals as judges to give each finalist music advice. The judges were: former Canadian Idol and rocker Billy Klippert, Asia's record producer Max Chou who produced records for top Asian artists such as Jay Chou, Canadian hip hop artist MC J-Ross and vocal coach Deanna Dubbin who was known for her cover of the 1988 Winter Olympic theme song. The winner of the awards were seleccted via live audience votes. Four awards were given based on Techniques, Performance, Creativity and Fans' favourite. My personal picked of the night was Pearl Reckless, a punk/rock band that had a great energy. Despite a technique difficulty with the microphone early on in their performance, they recovered it professionally and won the crowds' hearts. My most favourite performance of the night was song writer/singer Annika Odegard, who sang her original piece "Nothing But the Blues". I love jazz/souls, she won my vote not only because of her stunning vocal and song writing ability. She was able to execute an unique personal style that will be remembered by many. What intrigued me about R-Clash Talent Awards was the humble welcome of musicians from various backgrounds, music genre and languages. It truly represents the multi-culturalism of our Canadian culture and showed what it means when "music is the universal communication that breaks the language barrier". 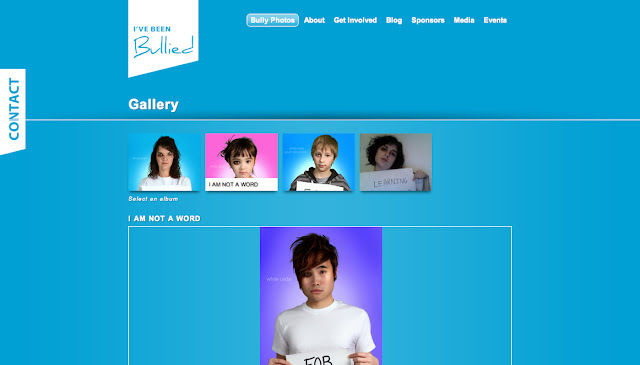 FINALLY the website for the viral "I've Been Bullied" Campaign by White Cedar is finally up! Help, educate and support to recognize bullying issues in our community! Binzento Vincente supports "I've Been Bullied" Campaign. Being somewhat new to the blogging business, setting Binzento Vincente a part from other blogs and able to create an independent "Binzento" style is important. On the other hand however, I find it also significant for me to learn a few things from successful local and international blogs. Photo source: "The Blonde Salad"
Photo source: "Kate Loves Me"
To keep up with my love of Japanese fashion, Ryoko's official fashion blog is my source. Aside from her regular fashion inspiration. 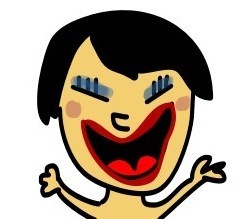 Ryoko is one of ELLE girl Japan's official bloggers. I find Ryoko loves to blend 60's fashion style and give it a little twist with modern Japanese flare. When Binzento asked Ryoko what was her most memorable moments of 2011, she replied with a sentimental answer: "大切な人の笑顔と涙" - "The smiles and tears of loved ones". Much ❤. 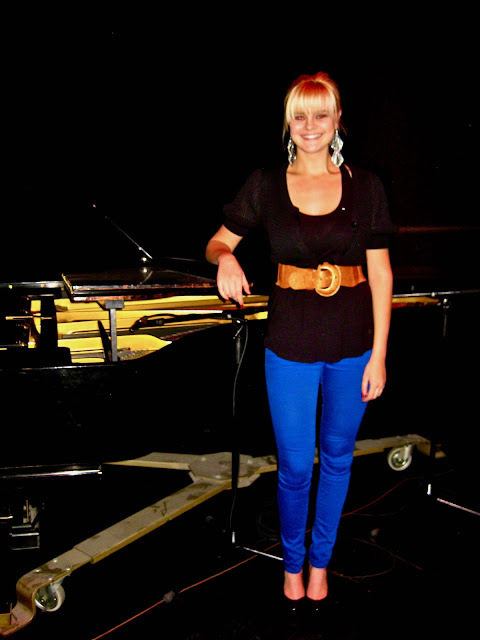 Photo courtesy: "Ania B Blog"
The first YYC fashion blogger I've been reading is Ania B, who was previously featured in Binzento Vincente's "Real People with Real Styles". Ania always amazes me with her photos. A fashion model herself, she has no trouble posing for beautiful photos. What surprises me the most though, she also does photography. 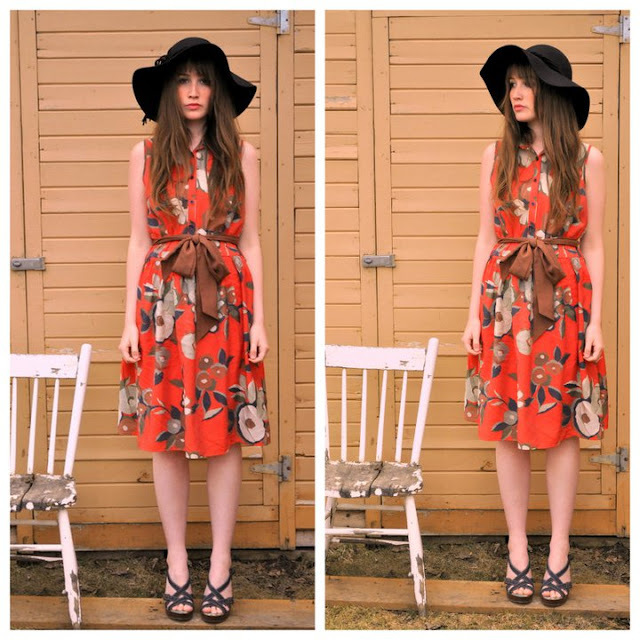 Ania B blog is not only about street style and fashion behind the manipulated camera angles. It's also about everyday life runway, featuring people she finds interesting. 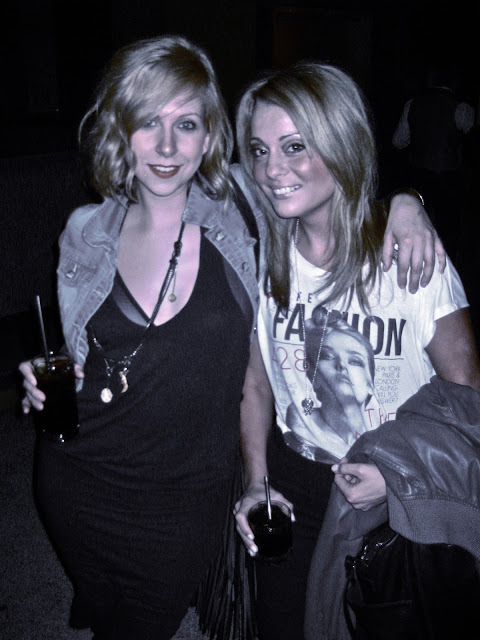 Her blog shed lights to the potential growth of young fashion talents in YYC. 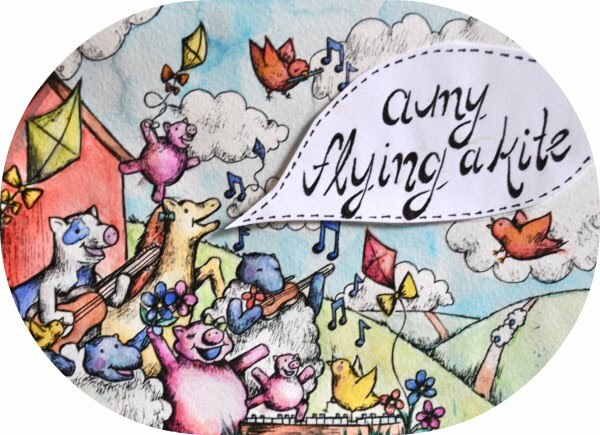 2) Amy Nelson (Amy Flying Kite) - The girl that made vintage rock! Photo courtesy: "Amy Flying Kite"
Like vintage looks? Then like "Amy Flying Kite". She's got it all, in that matter. Her vintage styles are very creative. 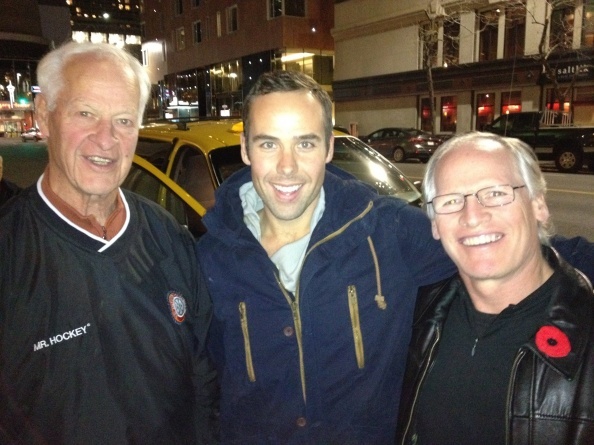 I actually didn't start reading Amy's blog until I met her personally at one of the YYC events in November 2011. Her blog and photo inspiration never fail to give me the sense of "LOVE & PEACE & HOPE". I am almost confident to say that there is no comparison in this city to her bohemian style blog and idea. 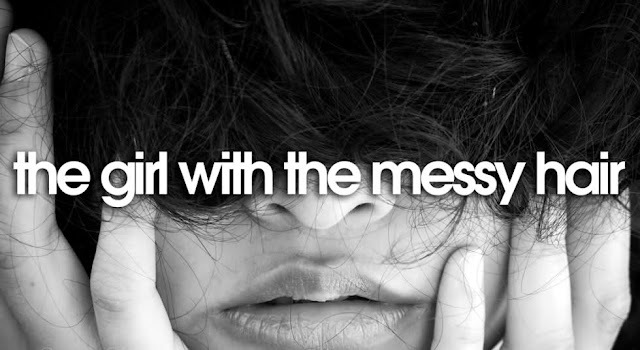 Photo courtesy: "The Girl With The Messy Hair"
Photo courtesy: "DRESS ME BLOG"
I love DRESS ME BLOG. She brings me back to my home (Hong Kong). 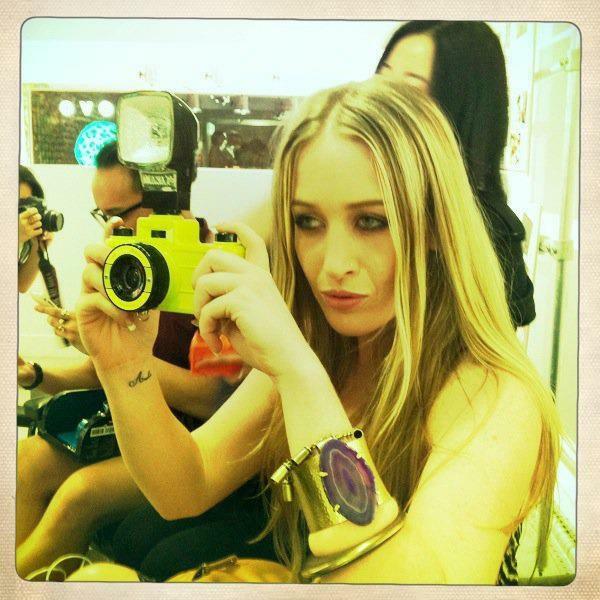 Jasmine Webber is an European fashion styling girl who migrated to Asia few years ago. Her blog features fashion news, designers (both local and international), and art shows that I dearly miss when I was in Hong Kong. DRESS ME BLOG will be collaborating with Binzento Vincente this month. Be sure to look out for it :). OHHH did I mention? 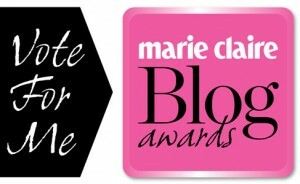 Jasmine is selected as 1 of 25 worldwide bloggers by Marie Claire Magazine and nominated for the "Blog Twitter Awards". Please vote for her HERE --> http://blogs.marieclaire.co.uk/more-blogs/enter-the-marie-claire-blog-twitter-awards/ BEST OF LUCK JASMINE! 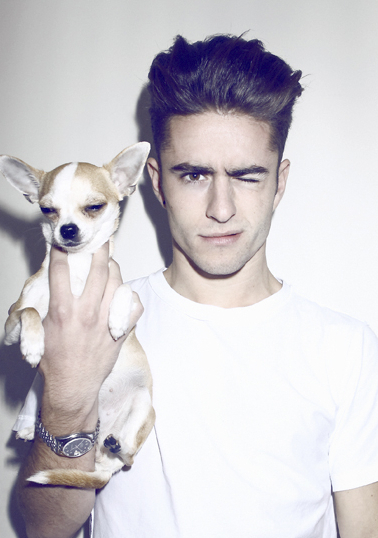 2) Ryan Massel (Mr. Fabulous) - The boy who is fabulously witty! Photo Courtesy: "Miss Fong From Hong Kong"
Miss Fong - I don't even know her real name - is a mysterious lady whose blog I stumbled across by accident. 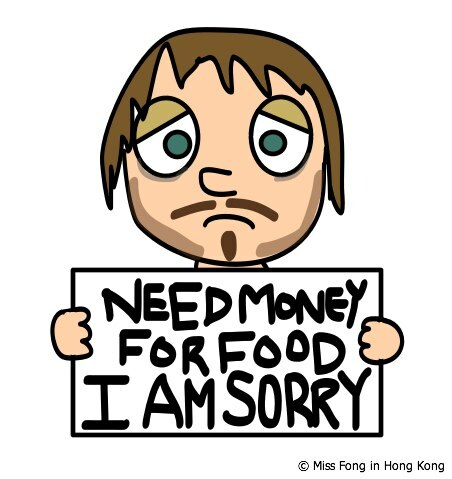 Her blog retells her daily encounters, and her critique on the specific situation. I always get a good laugh reading her posts, and not embarrassed to pass them along to my colleagues so that THEY can have a good laugh on their lousy work day. Her sense of humour is what makes her blog attractive. Her original cartoons is what makes it lively. Interestingly, as simple as her cartoons looked, I can always paint a vivid picture of her daily experience. Well there you have it! My TOP 3 lists of blogger picks. Finally, be sure to take a moment to vote for Binzento Vincente in "Canadian Blog Awards" for "2011 Best New Canadian Blog"! !